Project delays. We’ve all been there. You get a copywriting enquiry. The project sounds brilliant, fantastic, right up your street. You invest time discussing things with the client, mulling over the estimate, putting together a proposal, agreeing the brief and timings, pulling together Ts & Cs to be signed, getting the green light … and away you go, happily writing the first draft. Then you wait for feedback. And wait. And wait … And errrrr, now what??? 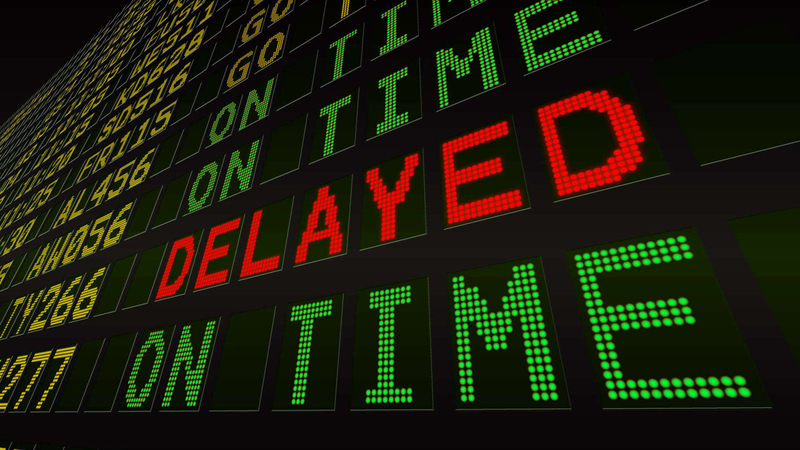 Here’s how to handle those hold ups, hiccups and headaches with freelance project delays. With the best will and slickest project management in the world, timings can still go awry. Out of the blue, several clients or higher up honchos now need to give you feedback. Always check exactly who will be involved in the process before you start. If the copy has to go to legal, you could be in for a verrrrry long wait. Or maybe your client forgets to mention they’re going on holiday. One recent client needed to use up her annual leave but didn’t let me know her dates; every time I sent a new draft for the seemingly desperately needed creative work, I received an OOO email. So always check if your client is likely to be away – and let them know your imminent holiday plans too. Oh, and don’t forget it could be your client’s client that creates the project delay or stalemate. Right before last August Bank Holiday, an ad agency asked me to do a quick turnaround on some radio scripts – not because they’d secured a very juicy airtime deal but because they wanted to send them to the client on the Sunday when she got back from holiday. Poring over some radio scripts v sorting out the holiday washing and going through piles of post? Well, now. It’s a toughie. As the agency only came back to me on the Wednesday after I’d chased up, she must have chosen the option we’d all have chosen. You get five enquiries in one day. Amazing! But how will your prioritise? How will you cope? 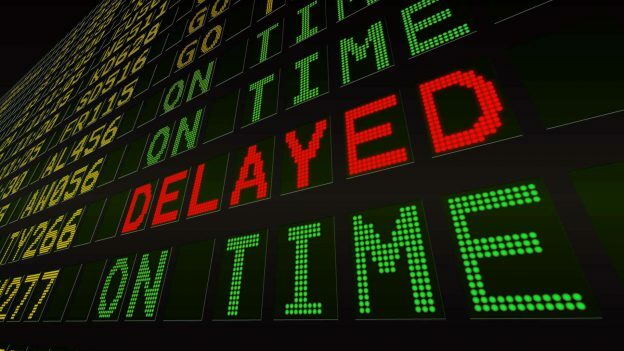 How will you manage not to p*** off any of the clients by being the cause of their project delay? How? How? HOW? In reality, and much unlike buses, a bunch of projects will rarely line up on your desk all at once and idling away, ready to go. Just like buses, some will be taken out of service; some will break down and others never ever manage to get the engine started. Say yes to everything. And never panic. 3. Just how urgent is urgent? Personally, I like projects with tight deadlines that absolutely, without question, must get done. Ask a potential client about when they need the work done and they’ll inevitably say ‘soon’ or ‘urgent’. But unless they’ve a trade show to exhibit at or a conference to talk at, it’s amazing, isn’t it, how those I-really-need-it-by-tomorrow deadlines melt away. I once had a nutritional supplements client who contacted me in September 2017 needing a tone of voice and packaging copy by the October, with web copy to follow. And then compliance reared its head. The packaging copy was eventually finished 13 months later and there’s still no movement on the web copy. But I got paid in full (thank you, tip 5). Always ask for payment in stages, especially if the project is sizeable or if the client insists on a 60 day invoice payment. (I thought there was meant to be a change in the law about this for paying small companies and freelancers?) And request a down payment. Mine vary between 25% and 50% but I always ask for this stage to be paid immediately (usually once I’ve undertaken the initial copy style exercise) before I can start the next stage. I ask payment to be made in further stages, just in case of unforseen project delays. For instance, another slug after providing first draft copy, and again after the second draft. When I first started out as a freelance copywriter, zillions of years ago, I would naively invoice for the whole amount at the month end. Probably because I was still thinking in full time employment terms. Yes, that was stupid. I now work the percentages so that I invoice for a small amount, say 10%, after sending final copy. If there are unavoidable project delays or hold ups on final feedback, it doesn’t matter too much as I’ve already invoiced for the bulk of the money. But also note my use of the phrase ‘after sending final copy’. You’ve done the work; you’ve done the rounds of revisions as promised in your proposal. This now draws a line so there’s no point waiting (and if in doubt, bill it out anyway). If the client needs further revisions, you can provide a new estimate. Check out my blog on 11 Tips To Keep Your Cash Flow Flowing. If writing web copy, don’t get held up by the client wanting to see how it looks online because then – quelle horreur – you’re at the mercy of the web designers too, as I flagged up in 9 Freelance Copywriting Client Conversation Starters/Stoppers And How To Deal With Them. Should any project remain unfinished after 40 days, I reserve the right to invoice for all work to date. Let’s face it, a gap can give you a welcome breather. You might get another project you could start. Or else use the time to write a blog, which is exactly what I’ve done here this morning (I mean, how often do you get the luxury of sitting down to do your own marketing??). Or just do nothing and take it easy for a change. That’s why you’re a freelance copywriter. Written by Caroline Gibson, freelance copywriter, who loves being on her copywriting treadmill but isn’t adverse to having some catch-up time once in a while. This entry was posted in Copywriting tips, Life as a freelancer and tagged Copywriting project delays, Copywriting Ts & Cs on April 10, 2019 by Caroline Gibson.